Dating is such a fun experience for whatever age it is, there is that different feeling of fulfillment and sheer joy as you meet a person you seem to have interest with. This is a means of finding your future life partner. It could also be a way of getting to know you better for through dating, the side of yourself that you are less familiar with is being unraveled. 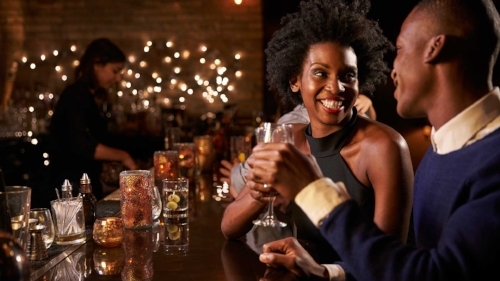 When one is out on a date, what must he do to make the date worth a memory to cherish? Are there strict guidelines to follow? There are none, but there could be helpful tips for you to make the most out of your date. These tips are important so that you would be able to act well and enjoy the rest of the time you have with that special person. Time matters in almost any meeting or activity, it matters most in a date especially if it is the first date. Cliché as it may seem but first impressions last and you must take good care of your date’s impression of you. It may mean something negative if you fail to arrive on time. You may have all the excuses, but you must show the best efforts in order not to be late. That strange pump of your heart is just going to distract you from doing well and enjoying your time. Well, it is but normal to feel that way but do not allow it to swallow you and stop you from doing the things you wanted to do. If you cannot stand the feeling, see to it that you divert that emotion to something that is more positive. Instead of feeling nervous, you must remind yourself that you are just excited. This could really help you ease the burden of being worried or pressured. Being nervous does not help, drop it off. You do not have to impress your date by telling tall tales. Sincerity and honesty would always lead you to that acceptance from others. With your honest way of opening yourself to that person you choose to go out with, you would surely reap a warm and honest treatment as well. You could appear impressive without being dishonest. When you are true to what you say and feel, it exudes. These are just three of the most helpful tips that could make heaven out of your date. Remember, it is the first step to find that lifetime partner you have been waiting for.